« Will Cambridge Analytica Hurt Legitimate Research? The dealings that have been revealed between Cambridge Analytica and Facebook have all the trappings of a Hollywood thriller: a Bond villain-style CEO, a reclusive billionaire, a naïve and conflicted whistle-blower, a hipster data scientist turned politico, an academic with seemingly questionable ethics, and of course a triumphant president and his influential family. Much of the discussion has been on how Cambridge Analytica was able to obtain data on more than 50 million Facebook users – and how it allegedly failed to delete this data when told to do so. But there is also the matter of what Cambridge Analytica actually did with the data. In fact the data-crunching company’s approach represents a step change in how analytics can today be used as a tool to generate insights – and to exert influence. For example, pollsters have long used segmentation to target particular groups of voters, such as through categorizing audiences by gender, age, income, education and family size. Segments can also be created around political affiliation or purchase preferences. The data analytics machine that presidential candidate Hillary Clinton used in her 2016 campaign – named Ada after the 19th-century mathematician and early computing pioneer Ada Lovelace – used state-of-the-art segmentation techniques to target groups of eligible voters in the same way that Barack Obama had done four years previously. Cambridge Analytica was contracted to the Trump campaign and provided an entirely new weapon for the election machine. While it also used demographic segments to identify groups of voters, as Clinton’s campaign had, Cambridge Analytica also segmented using psychographics. As definitions of class, education, employment, age and so on, demographics are informational. 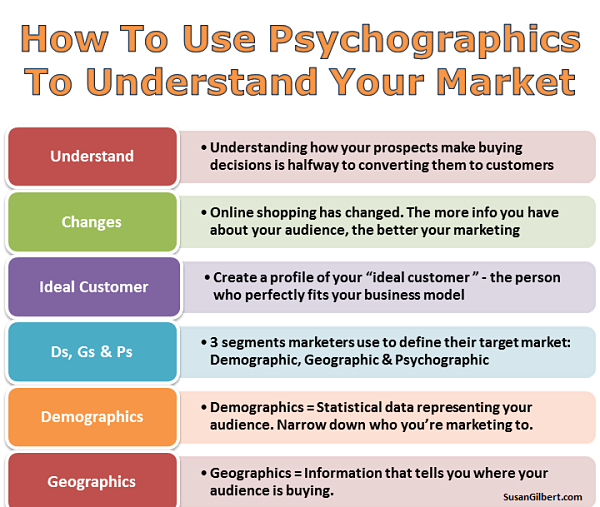 Psychographics are behavioral – a means to segment by personality. This makes a lot of sense. It’s obvious that two people with the same demographic profile (for example, white, middle-aged, employed, married men) can have markedly different personalities and opinions. We also know that adapting a message to a person’s personality – whether they are open, introverted, argumentative, and so on – goes a long way to help getting that message across. There have traditionally been two routes to ascertaining someone’s personality. You can either get to know them really well – usually over an extended time. Or you can get them to take a personality test and ask them to share it with you. Neither of these methods is realistically open to pollsters. Cambridge Analytica found a third way, with the assistance of two University of Cambridge academics. The first, Aleksandr Kogan, sold them access to 270,000 personality tests completed by Facebook users through an online app he had created for research purposes. Providing the data to Cambridge Analytica was, it seems, against Facebook’s internal code of conduct, but only now in March 2018 has Kogan been banned by Facebook from the platform. In addition, Kogan’s data also came with a bonus: he had reportedly collected Facebook data from the test-takers’ friends – and, at an average of 200 friends per person, that added up to some 50m people. However, these 50 million people had not all taken personality tests. This is where the second Cambridge academic, Michal Kosinski, came in. Kosinski – who is said to believe that micro-targeting based on online data could strengthen democracy – had figured out a way to reverse engineer a personality profile from Facebook activity such as likes. Whether you choose to like pictures of sunsets, puppies or people apparently says a lot about your personality. So much, in fact, that on the basis of 300 likes, Kosinski’s model is able to predict someone’s personality profile with the same accuracy as a spouse. Kogan developed Kosinksi’s ideas, improved them, and cut a deal with Cambridge Analytica. Armed with this bounty – and combined with additional data gleaned from elsewhere – Cambridge Analytica built personality profiles for more than 100 million registered US voters. It’s claimed the company then used these profiles for targeted advertising. Imagine for example that you could identify a segment of voters that is high in conscientiousness and neuroticism, and another segment that is high in extroversion but low in openness. Clearly, people in each segment would respond differently to the same political ad. But on Facebook they do not need to see the same ad at all – each will see an individually tailored ad designed to elicit the desired response, whether that is voting for a candidate, not voting for a candidate, or donating funds. Cambridge Analytica worked hard to develop dozens of ad variations on different political themes such as immigration, the economy and gun rights, all tailored to different personality profiles. There is no evidence at all that Clinton’s election machine had the same ability. Behavioral analytics and psychographic profiling are here to stay, no matter what becomes of Cambridge Analytica – which has robustly criticized what it calls “false allegations in the media”. In a way it industrializes what good salespeople have always done, by adjusting their message and delivery to the personality of their customers. This approach to electioneering – and indeed to marketing – will be Cambridge Analytica’s ultimate legacy. This entry was posted in International Debate, News and tagged Cambridge Analytica, Psychographics, The Conversation. Bookmark the permalink. Post a comment or leave a trackback: Trackback URL.